There’s something to be said for a clean, calm and spare environment. 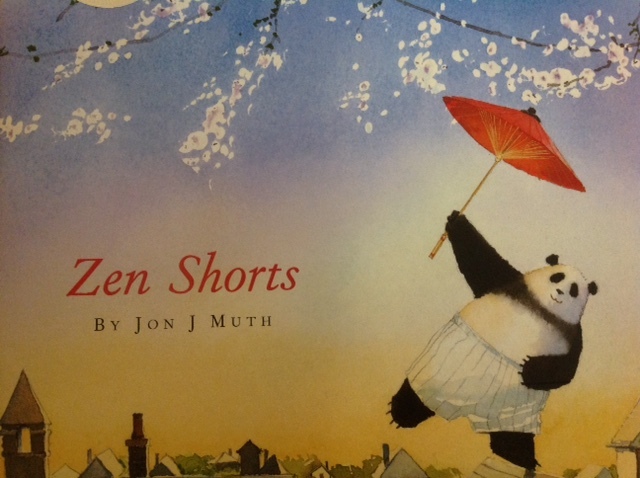 Today’s view of the dollhouse found us in a self-regulating frame of mind, and that feeling led us to one of our favourite books, Zen Shorts (2005) by the amazing Jon Muth. Zen Shorts tells the story of Michael, Addy and Karl, a family of children who meet Stillwater, a panda who has moved into their neighbourhood. Stillwater shares life lessons in story format with each of the children. Through his gentleness, grace and wisdom, the children learn about understanding, forgiveness, tolerance and perspective in their own lives. We wondered how our children might be able to relate to the stories, or if the symbolism and imagery was too sophisticated. However, we were delighted how each of them was able to not only understand the stories at a literal level, but they also tried to make some deeper connection to their own life experiences in our discussions that followed. Do you know that blissful sigh that comes after reading a great book, the feeling of satisfaction, the feeling of deep contentment when the words, the meaning and the illustrations, which are just so perfect for the story, all come together beautifully? Well, we did just that…sigh…it’s just SUCH a great book. As faithful Vancouverites, we love to talk about the weather. So for this week, we wanted to note that our children should all have a warm coat to wear, gloves and a hat, if necessary. A lightweight windbreaker is not quite enough, unless paired with a warm vest. Most should be able to do up their zipper independently; although we, and our monitors can support the children, if necessary. We realize that some of the children do not like to go outside when it’s rainy and cold; however, part of Westcoast living means not only enjoying the warm and mild days, but enduring the endless cold, rainy and wet ones as well. Please check with your child each day to see if you need to take home wet pants and socks after your child changed at recess or lunch. The wet weather has meant that quite a few children are getting wet from playing or going down the slide, puddle jumping or just the rain blowing sideways. They need to bring extra dry clothes to change into for the next day in their backpacks. Please note: a few children end up changing after the morning recess, get wet again at lunch and need to change one more time to be comfortable for the afternoon. They should probably have two pairs of pants and socks when it’s really rainy. 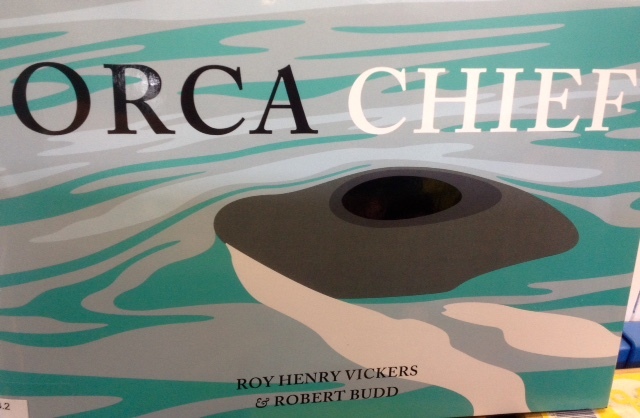 During weekly Library time, our Teacher-Librarian, Mrs. Kennedy, read aloud Orca Chief, by Roy Henry Vickers and Robert Bud, to our children. We have been focusing on First Nations animal motifs as part of our Aboriginal Education studies. This month we are focusing on the orca whale. Last term we had learned about the Bear. 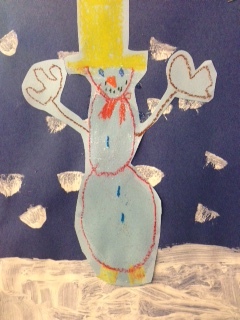 We’ve been busy creating more fabulous Winter Art this week. 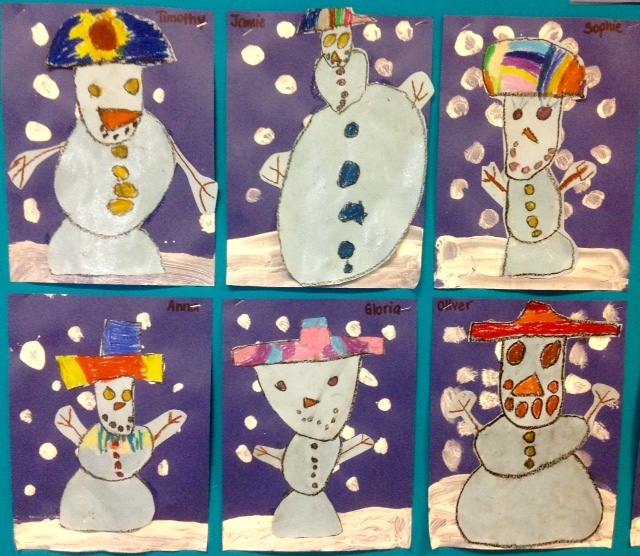 Here is our “Winter Snowmen at Night” inspired by Snowmen at Night (Caralyn Buehner and Mark Buehner) and the “Winter Snowman Collage Art Lesson” by Patti at Deep Space Sparkle. We painted our “snow” backgrounds on dark blue construction paper, then drew the snowmen with pastels using directed drawing instructions. The children love using pastels more than any other colouring tool because of the intensity and wide variety of colours. Instead of dusting our snowmen with glitter, we used Sparkle Mod Podge, which we purchase at Michaels Craft Stores. It dries quickly and gives a really nice finish when you want to add a little sparkle (and really, who doesn’t everyone want a little more sparkle in their lives? We can never get enough). We’re skating on Thursday, February 4. Please email your child’s teacher with your child’s skate size if your child is renting skates. It helps to make the process go much faster at the arena. Friday, February 5 is Reading Break and Monday, February 6 is the Family Day holiday. We will resume school on Tuesday, February 9. 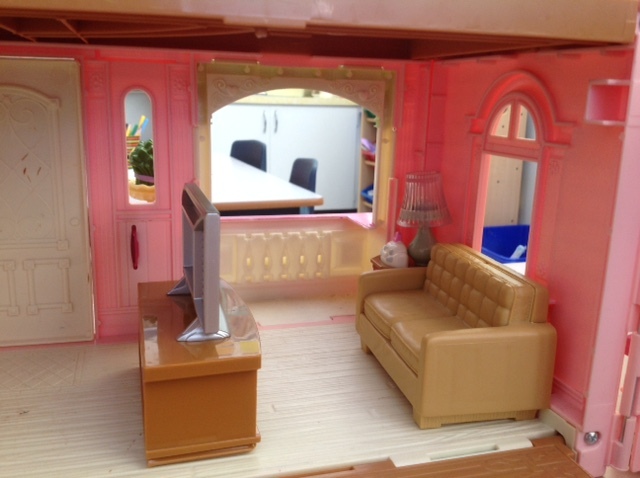 This entry was posted in Newsletter, Reflections and Musings by thekinderteam. Bookmark the permalink.